Two photos showing progress on my painting of Edinburgh in the snow last month. The view is looking South, of Salisbury Crags on Arthur’s Seat from Regent Road, also showing the shape of the Royal Mile. This morning I gave it a nice hot shower in the bath to soften the gesso, then scraped through gesso and black paint to reveal the wood beneath (painting at top of post). I like the effect of textured wood showing through, also the rhythms or shapes of the painting, so I’m not quite sure where to take this next without messing that up! I’m painting two on similar size boards (24×16 inches – 2 feet along longest side) and I’ll submit them for the annual RSA Open (Royal Scottish Academy) by May this year. This entry was posted in Uncategorized and tagged edinburgh paintings, Edinburgh snow, Edinburgh Winter, Scottish artists, snow paintings, snowscapes on March 22, 2018 by rosestrang. Available, £85. North (1). Mixed media on 11.5×6” wood panel. More snowscapes from yesterday and today..
A larger version of Quayside buildings in Leith and two works that began experimentally then reminded me of Arthur Rackham or Charles Folkyard book Illustrations – I added pen and ink lines to suggest bracken and trees. I’m happy with the mood of these, sort of lyrical. I have four days left of painting, then I’ll begin hanging the exhibition on Monday 7th. 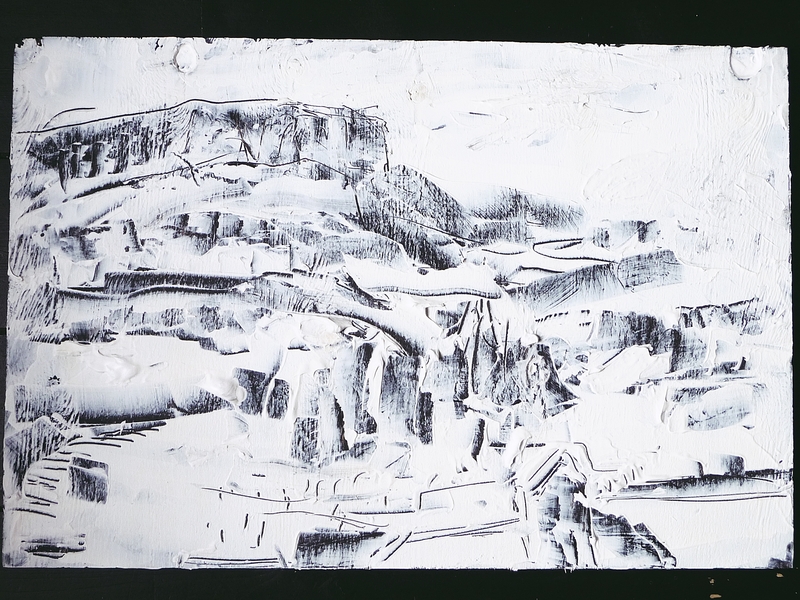 Snowscapes launches at Gayfield Creative Spaces in Gayfield Square on Tuesday the 8th December. It’s a three-day exhibition (8th, 9th and 10th Dec’). Open from 12 noon till 8pm every day. Drop in for a glass of mulled wine on Thursday after 6pm! 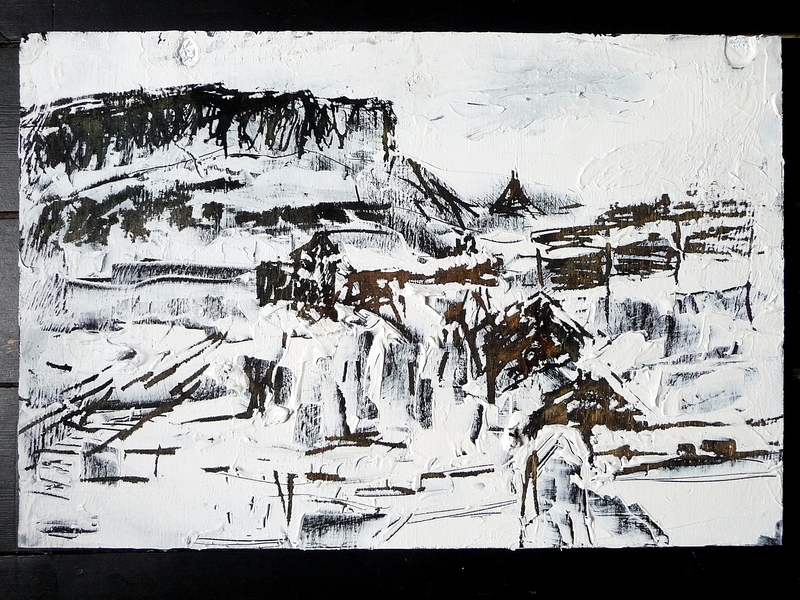 This entry was posted in Uncategorized and tagged edinburgh paintings, snow scenes, snowscapes, winter paintings on December 1, 2015 by rosestrang.